It’s Friday! And you know what that means: Poetry! 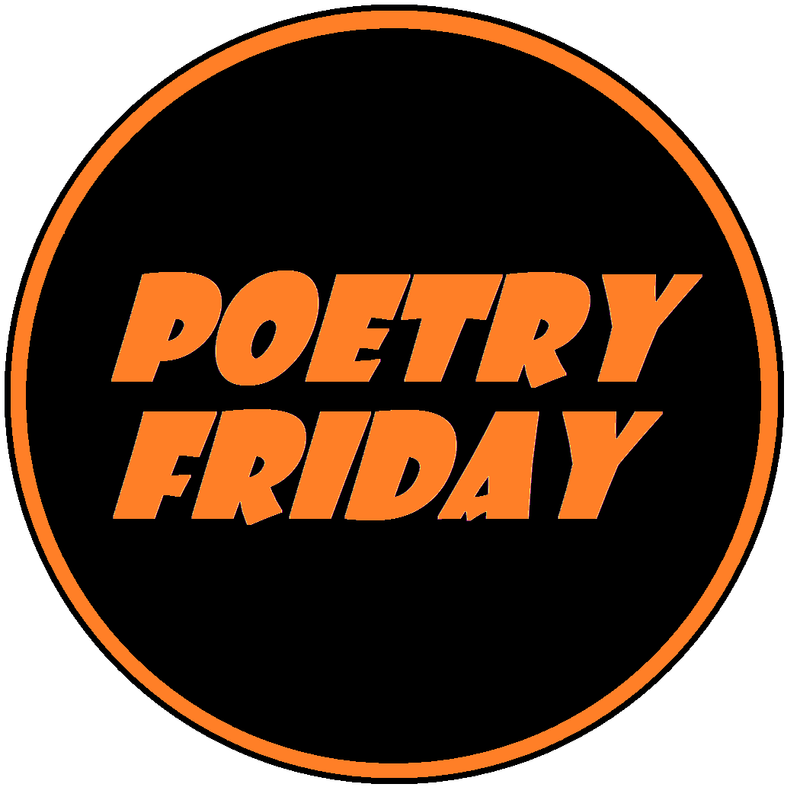 Want to know more about Poetry Friday? Click this link right here. 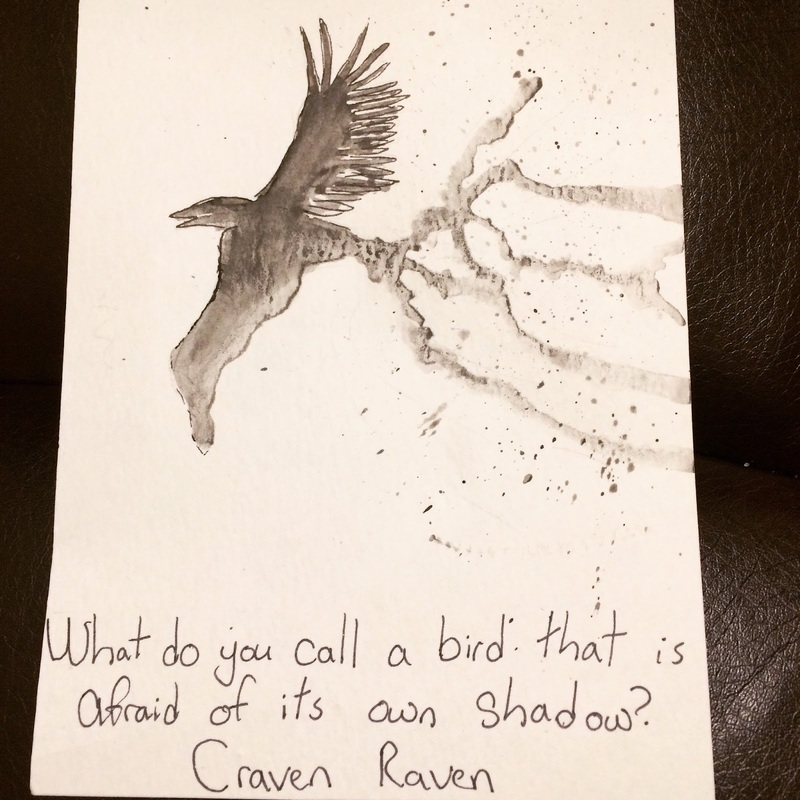 And be sure to check out Irene Latham’s blog, Live Your Poem to see this week’s round up of wonderful poetry related posts, blogs and goodness. It’s Friday the 13th and I am happy to say that I haven’t missed a day yet of Inktober! 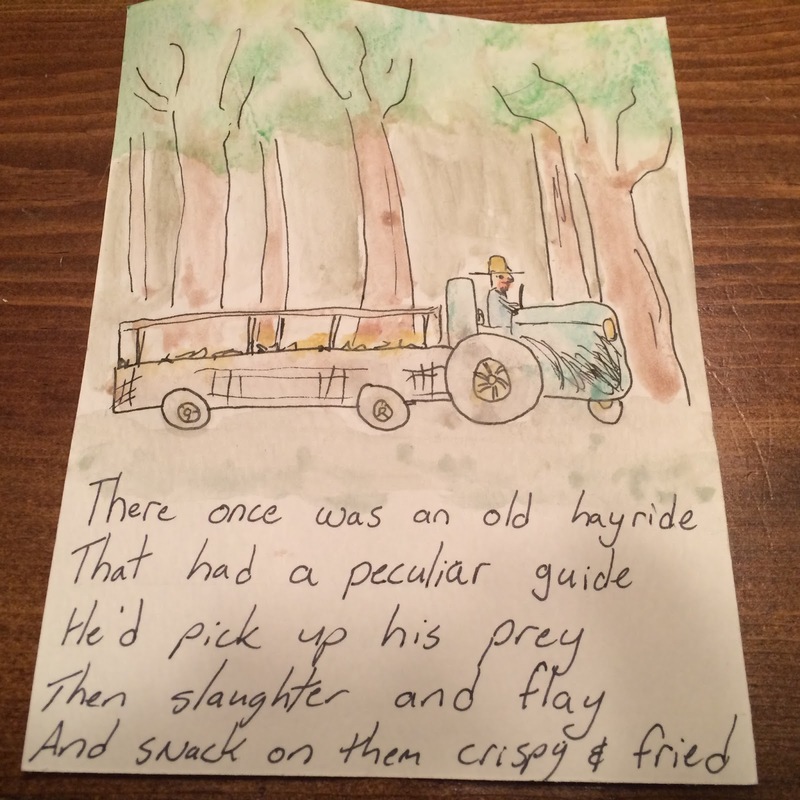 I am doing way better than my poem-a-day goal back in the month of April (I eeked out one poem that month). I have been having a lot of fun, mostly because it has been sort of playful and not anything to take too seriously. I find it easier to write in general when I have fun, don’t treat everything as precious, and understand that it’s not going to be perfect on the first shot. And you know what has been happening? I’ve written a few that I’m quite pleased with and may work on to get them polished. It’s been a great exercise so far! I love the playfulness of these! 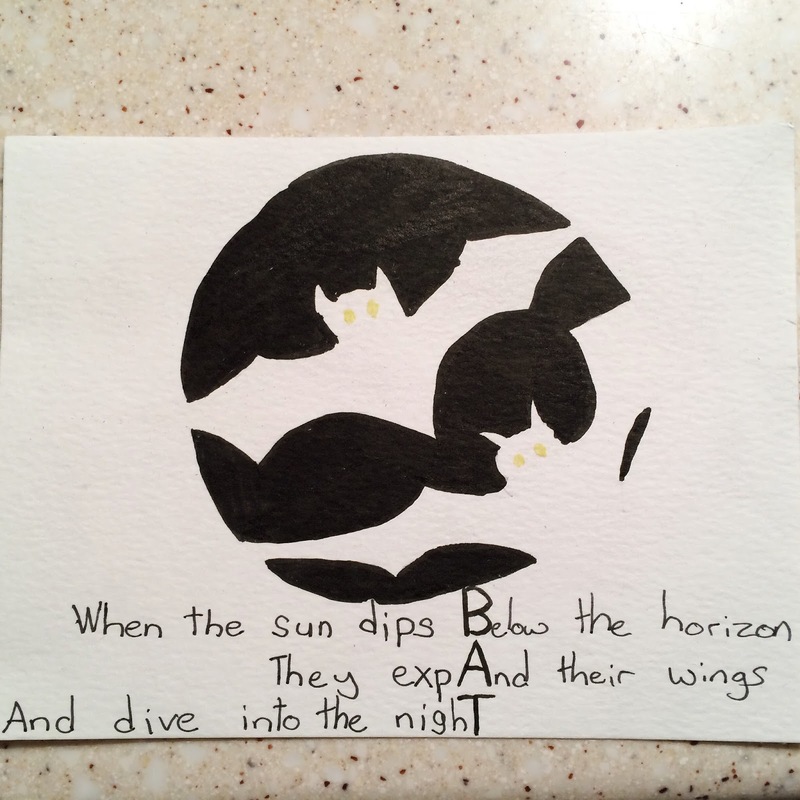 My favorite is the bats art and poetry. 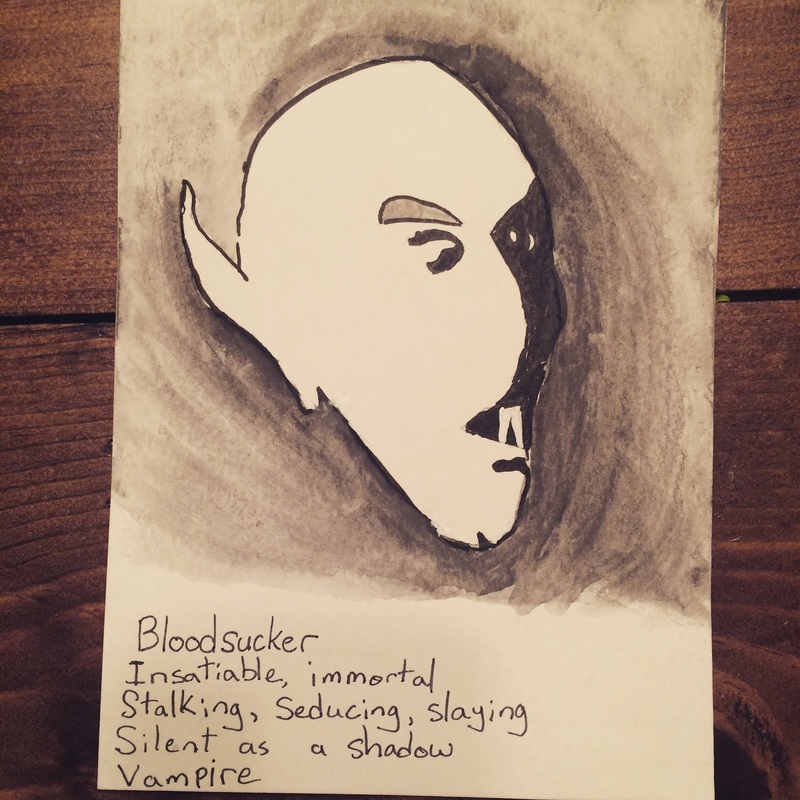 I can certainly tell it's October in your “inktober” sketches, creepier and creepier! And I too love the bat one. These are such fun, Rebecca! 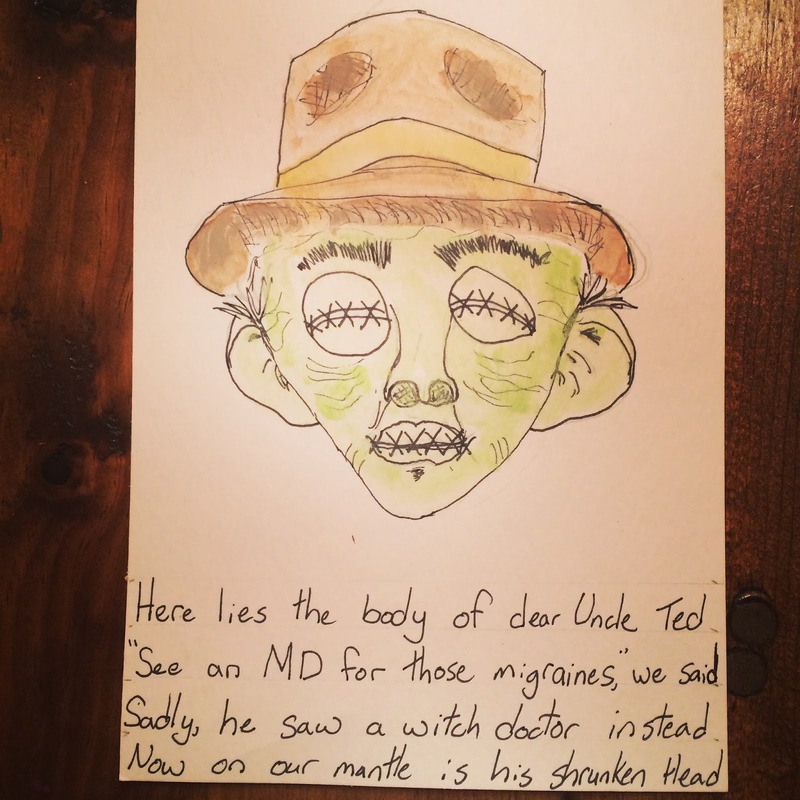 Since you've got the Halloween theme going anyway, you should draw and write one about something that spooked you as a child. The DMC padlet is hoping you will! Glad you are having so much fun Rebecca! I especially liked your “Mr. 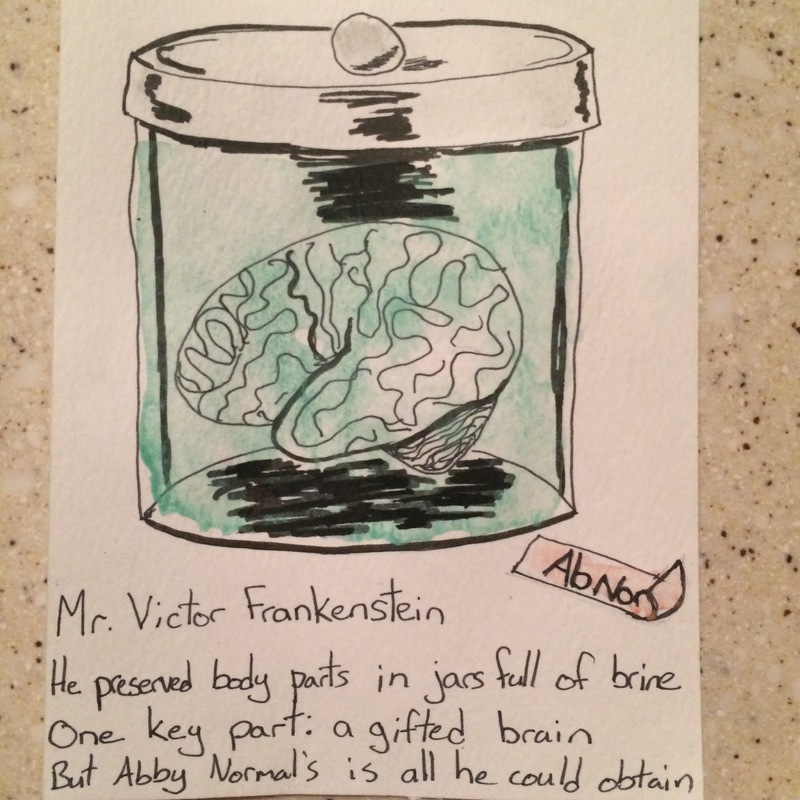 Victor Frankenstein,” and “Bat” poem, thanks! Thank you! The bats seem to be a fav. October is my favorite time of year!! Thanks for the suggestion. I have just the one.